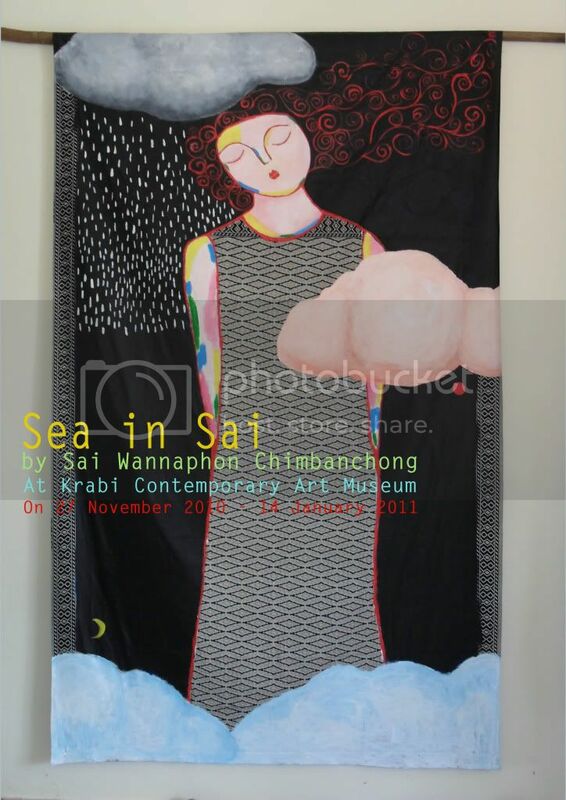 There is a new exhibtion by Sai Wannaphon Chimbanchong from 27th November untill 14th January 2011. The art displayed are paintings on batik fabric telling stories about the sea. Sai Wannaphon Chimbanchong is educated from The College of Dramatic Arts in Bangkok. The museum is open Tuesday - Sunday from 10.00 am - 5.00 pm and admission is free. It is possible to buy the paintings from this exhibtion and the price is 6,500 baht for a painting.